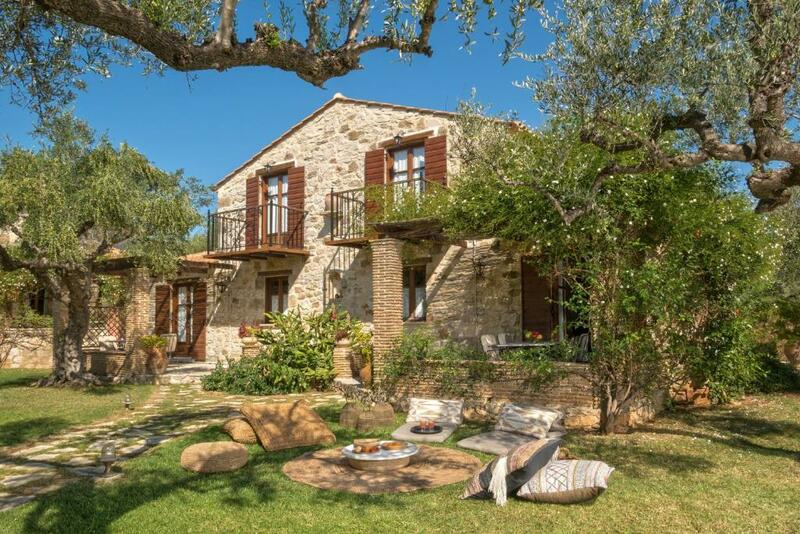 Gorgeous villas on a property in the olive fields: rock walls, wooden floors, and very homey. Ours was a two-story villa with a bedroom and bath upstairs, and a kitchen, eating area, another bedroom and bathroom downstairs. The receptionist was awesome helping out with what to do in the area as well. The staff were amazing, Alena, the lady at the reception was so helpful and kind and all the staff very friendly. The Moussaka was the best we have ever had. cannot wait to go back one day. The staff is excellent and extremely friendly, and the rooms are impeccable. We are very happy to find this little gem! 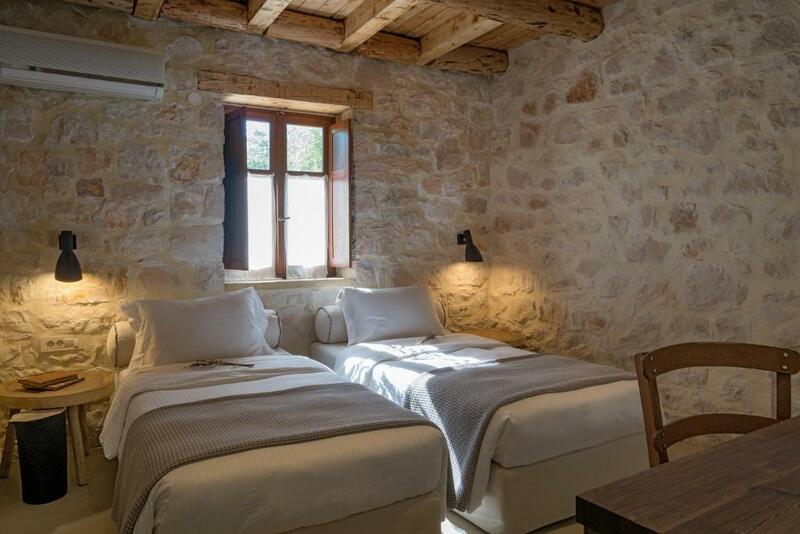 Beautiful apartments that are more like little houses with a lovely relaxed and tranquil feel. Ideal for families with little children thanks to the two mini pools, colouring-in table near pool/restaurant, swings in the gardens and lawns to roam on. 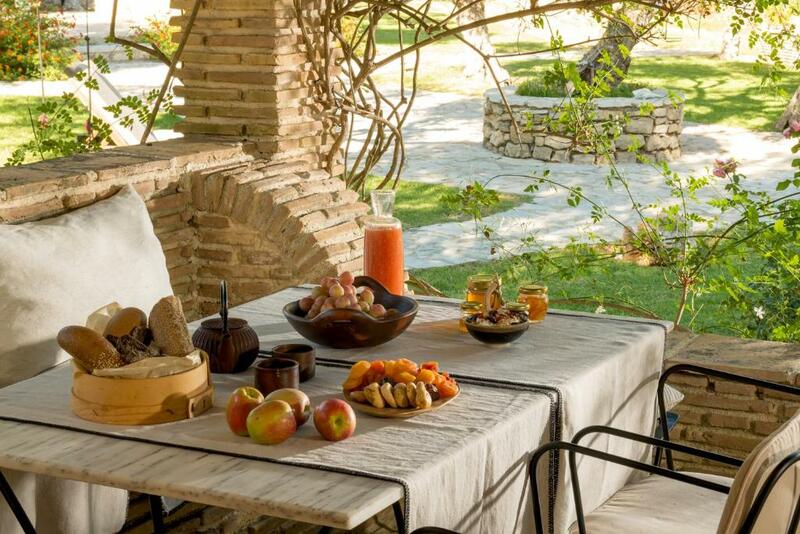 Plus possibly THE BEST BREAKFAST in Greece! in fact the meals we had there were probably the best we had all holiday and well priced too. Very clean and staff exceptionally friendly and helpful. The garden-like-area around appertments is really lovely. Fabulous week in the gorgeous Paliokaliva Village. Such a pretty setting with stunning view, grounds are well maintained with flowers & lanterns creating a lovely ambiance. Staff were super welcoming and attentive, full of great restaurant & travel tips! Pool area was great - perfect amount of sunbeds for guests, never struggled for space by the pool. Food & drinks brought to your sun lounger if you ask nicely - ideal for a relaxing break! Food is excellent - amazing breakfasts, lunch & dinner! Ate there much more than planned because it was so good! Lots of homemade produce. Lock in a great price for Paliokaliva Apartments and Villas – rated 9.5 by recent guests! Quietly located among olive groves, Paliokaliva Village is 0.6 mi from the popular resort of Tsilivi and only 1,950 feet from a sandy beach. It features a sea-view restaurant, swimming pool and consists of traditional, stone-built villas with free Wi-Fi. 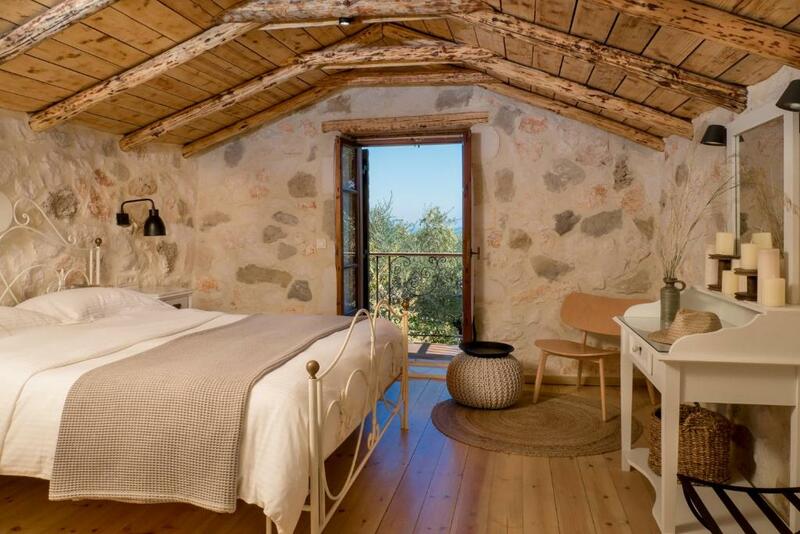 All villas feature warm colors, natural materials and wooden ceilings. Each house consists of one or two bedrooms, a living room, a fully equipped kitchen and a dining room. Villas have one or two bathrooms and a private terrace overlooking the olive grove. A children’s pool and hydro-massage facilities are also provided in the swimming pool area. Guests at Paliokaliva enjoy free parking. Upon request, guests may enjoy beautician services, sailing cruises, or yoga classes. 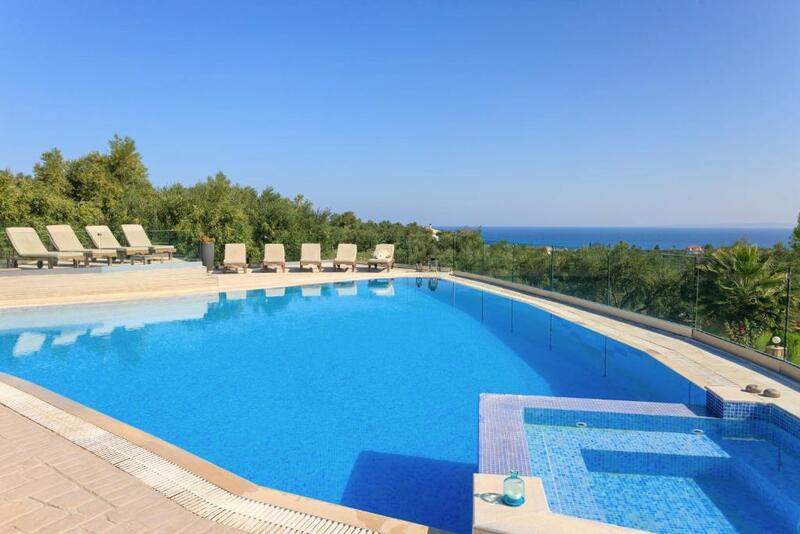 A selection of beaches lies within a short drive, while the town of Zakynthos is just a 3.7 mi drive from the villas. The monastery of Dermatousa, the cultural village Skalia and the Nautical Museum are among the nearby attractions. Zakynthos Airport can be reached within a 15-minute drive. When would you like to stay at Paliokaliva Apartments and Villas? This vapartment offers a well-equipped kitchen, a bathroom and spacious, furnished veranda. Please note that this apartment cannot accommodate any extra beds. 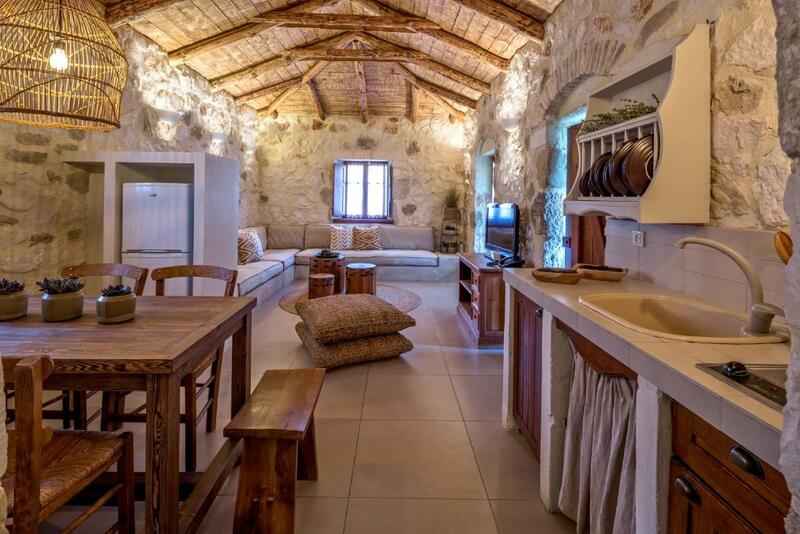 This villa can accommodate up to 5 guests, separate living room with a well-equipped kitchen and a furnished veranda. This villa cannot accommodate any extra beds. This studio has a CD player, kitchenware and seating area. Please note that this room type can accommodate 2 adults and 1 child up to 12 years old upon extra charge. This studio features a satellite TV, DVD player and CD player. Please note that this room type can accommodate 2 adults and 2 children up to 12 years old. First child is charged while second child can stay free of charge. 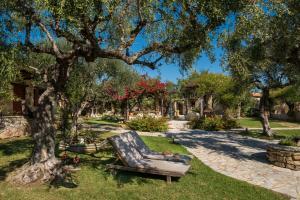 Amidst stretches of olive groves Paliokaliva village resembles a small private village, a 4 star family- friendly holiday village with 18 stone-build studios, apartments and traditional villas in Zakynthos, Greece, combining unrivalled natural beauty with high quality service and genuine hospitality. This authentic accommodation complex, built with traditional and eco-friendly materials features charmingly decorated villas for families as well as romantic villas for couples seeking for a calm refugee near the sea In one of the most beautiful and peaceful areas of Zante near the sea, in short distance from the city center and the cosmopolitan area of Tsilivi, all 4 star villas for families of this family-friendly accommodation in Zakynthos provide plethora of amenities ensuring a truly relaxing holiday for families in Greece. Overlooking the deep blue sea, adults and children can swim in the crystal clear waters of the pool and enjoy delicious breakfasts as well as scrumptious lunch and dinner choices at the relaxed atmosphere of the villas’ restaurant. 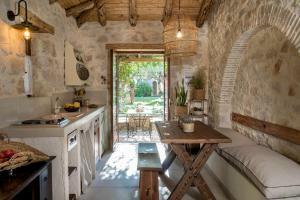 House Rules Paliokaliva Apartments and Villas takes special requests – add in the next step! Paliokaliva Apartments and Villas accepts these cards and reserves the right to temporarily hold an amount prior to arrival. Please inform Paliokaliva Apartments and Villas of your expected arrival time in advance. You can use the Special Requests box when booking, or contact the property directly using the contact details in your confirmation. Internet speed a little on the slow side. The shower upstairs had several ports clogged, which made the ones which were flowing water kind of stronger than normal. Only drawbacks are that its bit of a hike to/from the beach but an easy 5min drive. and the flies around the restaurant are irritating. Not much that can be done but perhaps they could try hanging some stylish glass honey traps in the trees around the restaurant? Outside our apartment was used as a football field in the evenings. A little bit longer walk to the nearest beach. Unlike the buzzing and busy center of Zakhintos, Paliokaliva Villas is like an island itself of tranquility, peace and green. A tasteful decoration, both inside and outside, adding much to your holiday pleasure. The breakfast was quite good. All the personnel, especially Elena was very helpful in every manner, always smiling, kind and easy to communicate. She gave us very valuable advices, information on where to eat, swim, etc. She helped us even after we had checked-out, when we had a robbery on the island. I highly recommend this place. Thanks for everything! More like apartment not hotel. Some service is not good as hotel.